The Mid-Term Budget for 2018 gave little reason for joy, as could be expected with the country in a recession and government departments and state-owned enterprises (SOEs) in dire financial straits. It’s time for action say property leaders. Richard Gray, CEO of Harcourts says New Finance Minister Tito Mboweni in his speech addressed the key factors putting strain on our economy in a more aggressive stance. However, Harcourts says the time for talk is over, and we need to see the results of policies and implementation plans otherwise economic stagnation will continue to remain a major concern. He says there is no doubt the economic slow-down and instability with government finances have raised a lot of concerns related to long-term investment and certain sectors of the real estate market have been hard hit over the past few months. As government increases taxes to recoup mismanaged funds the consumer is the one who carries the financial burden. Concerns include that the debt service costs will rise to 18% of all government spending in 2026 – which translates into almost R1 out of every five going towards paying off loans; and that National Treasury downgraded the GDP for 2018 to a shocking low 0.7% – which makes achieving the goals of the National Development Plan (built on 5.4% GDP growth) rather unrealistic. Gray welcomed the announcement that housing subsidies amounting to R1 billion will be centralised to better support middle- and lower-income home buyers. In conclusion he says it is imperative the minister clamps down on wasted expenditure and tries to mitigate the factors leading to drastic economic cycles that create long-lasting fluctuations. “The real estate market is susceptible to economic uncertainty and the Minster needs to restore confidence to ensure local and foreign investors are willing to increase purchasing activity,” ends Gray. Jawitz welcomed that for now taxes will not be increased, which gives consumers one less thing to worry about and that the latest inflation figures comes in at 4.9% which is still within the 6% upper limit and will stave off an interest rate increase. “Until consumers feel better about the medium- to long-term situation in the country, the residential market will remain flat with the imbalance between supply and demand widening across almost all segments of the residential market. There are sales to be done for sellers who are realistic about the market and what their property is really worth but for the meantime, the residential market remains firmly a buyer’s market. The irony is that for buyers who are prepared to buy in the current market, it offers the best value in terms of prices since the market crash in 2008,” adds Jawitz. 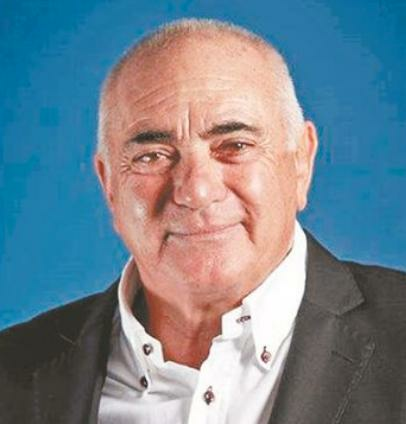 Lew Geffen, chairperson of Lew Geffen Sotheby’s International Realty, says Mboweni’s delivered a ‘no frills’ speech “about the poor state of our economy which I’m sure is no surprise to the property market which has been in a recession for the last two years”. He says property prices are basically back to 2012 prices as the growth that was realized between 2012 and 2016 has been eliminated by the recession. Home-owners, who wish to sell and bought between 2012 and 2017, are bound to lose money by as much as 30% depending on how and when they bought. The closer to 2012 the property was bought will reflect lower losses than those bought around 2017, he says. On the positive side are there opportunities for property bargain hunters to score big points by buying low. It is also the opportunity for first time buyers to get into the market. Upgrading home-owners also should keep in mind that the proportional increase in return on investment is proportionately higher on the more expensive property when the market normalizes and therefore the percentage gain is much higher than if they would not have upgraded their present property. Therefore, it is an ideal time to upgrade property. “When the going gets tough, the tough get going and what has been learnt through all the recessions is that the new wave of wealthy people are born in recessions because those are the people who have the confidence and courage to invest when things are looking gloomy,” concludes Lew.